« Mr. Pruitt’s Proposed “Science Transparency” Rule: Greenlighting Industry? (Beyond Pesticides, May 6, 2018) The Washington State Department of Ecology (Ecology) temporarily denied a permit to spray Willapa Bay and Grays Harbor with the toxic neonicotinoid insecticide imidacloprid. Your comments helped achieve the temporary decision and comments are now needed again to make the denial permanent. The public comment period closes on May 14, 2018. Tell Ecology to restore the bays instead of spraying them! Too great an impact on the marine organisms that live in the sediments where the pesticide application is proposed. Too much uncertainty about the long-term impacts associated with this pesticide. Negative impacts on fish and birds caused by killing sources of food and disrupting the food web. Even at low concentrations, imidacloprid has significant impacts on the environment. Among the knowledge gaps found by Ecology are uncertainties over whether imidacloprid is effective for its stated purpose. These uncertainties are crucial, because no spraying can be justified if it is not effective. The SEIS finds a number of uncertainties concerning the direct effects of spraying imidacloprid, including accumulation in sediments, long-term toxic impacts, impacts on zooplankton, sublethal effects, impacts on vegetation, impacts of degradation products, and the area that would be affected. The SEIS does not evaluate synergistic impacts of imidacloprid combined with other chemicals (“inert” or non-disclosed ingredients, other chemicals used in the bays, and other pollutants) or other stressors. Among the organisms known to be at risk is the commercially important Dungeness crab, which has been shown to be susceptible to the effects of imidacloprid, and whose populations experience large natural fluctuations, putting them at risk of extinction. Given the systemic mode of action of imidacloprid in crop plants, the permit cannot be approved without accounting for impacts on non-target animals consuming vegetation in treated areas. Please use or adapt and send the letter below to the Washington State Department of Ecology. I urge you to make final your temporary decision to deny a permit for the spraying of Willapa Bay and Grays Harbor with any quantity of imidacloprid. Although the “no action” alternative is acceptable, the only really effective and protective alternative is restoration of the bays’ ecology. Although the SEIS and other studies identify “immediate adverse, unavoidable impacts to juvenile worms, crustaceans, and shellfish in the areas treated with imidacloprid and the nearby areas covered by incoming tides,” the SEIS also identifies “knowledge gaps,” which must be filled before permitting the use of another toxic chemical in Willapa Bay and Grays Harbor. Crucially, the SEIS identifies uncertainties regarding the efficacy of imidacloprid for controlling burrowing shrimp. These uncertainties include questions of the extent and duration of the effect of imidacloprid, the lack of a treatment threshold, lack of data regarding resistance, lack of field research regarding clams, and efficacy of treatment in low temperature. Certainly, no use of imidacloprid can be supported without demonstrating efficacy. The SEIS finds a number of knowledge gaps concerning the direct effects of spraying imidacloprid, including accumulation in sediments, long-term toxic impacts, impacts on zooplankton, sublethal effects, impacts on vegetation, impacts of degradation products, and the area that would be affected. These gaps must be filled before approving the use of any chemical. Before allowing chemical use, Ecology must adequately address synergistic effects, including impacts of imidacloprid combined with other chemicals (“inert” ingredients, other chemicals used in the bays, and other pollutants) or other stressors. Among the organisms known to be at risk is the commercially important Dungeness crab, which has been shown to be susceptible to the effects of imidacloprid, and whose populations experience large natural fluctuations, putting them at risk of extinction. Given the systemic mode of action of imidacloprid in crop plants, Ecology cannot approve use of imidacloprid without accounting for impacts on non-target animals consuming vegetation in treated areas. 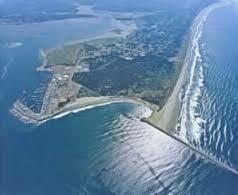 Willapa Bay and Grays Harbor have been affected over the past century by human activity that has contributed to problems experienced by all who use the bays. Of the three options proposed, the No Action alternative is the best. However, what is truly necessary to address these problems is an option that was not considered in the SEIS –a plan to restore the habitat by removing stressors from streams flowing into the bays. Thank you for your careful review of the SEIS and consideration of these comments. This entry was posted on Sunday, May 6th, 2018 at 5:23 pm	and is filed under Aquatic Organisms, Imidacloprid, Uncategorized, Washington, Water. You can follow any responses to this entry through the RSS 2.0 feed. You can skip to the end and leave a response. Pinging is currently not allowed.